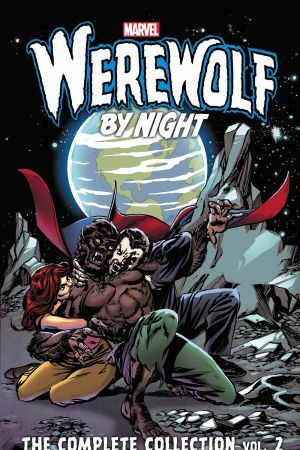 Collects Werewolf By Night (1972) #16-30, Giant-Size Creatures #1, Giant-Size Werewolf #2-4 and material from Monsters Unleashed (1973) #6-7. 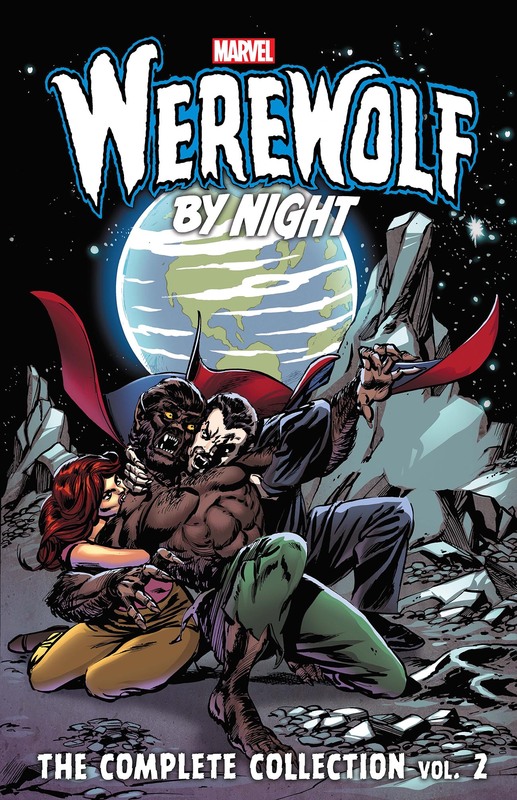 More howling great adventures starring Jack Russell — the Werewolf by Night! Whether it’s death in the cathedral, courtesy of none other than the Hunchback of Notre Dame, or murder by moonlight at the hands of another lycanthrope, the stakes are high for Jack! He’ll battle the Behemoth, team up with Tigra, melee with Morbius and fight Frankenstein’s Monster — but can he avoid the Hangman’s noose? Whether Jack’s in Hollywood or Transylvania, there’s no shortage of vampires, brutes and other terrors out to get him — but few can match the outright horror of the Soul-Beast! 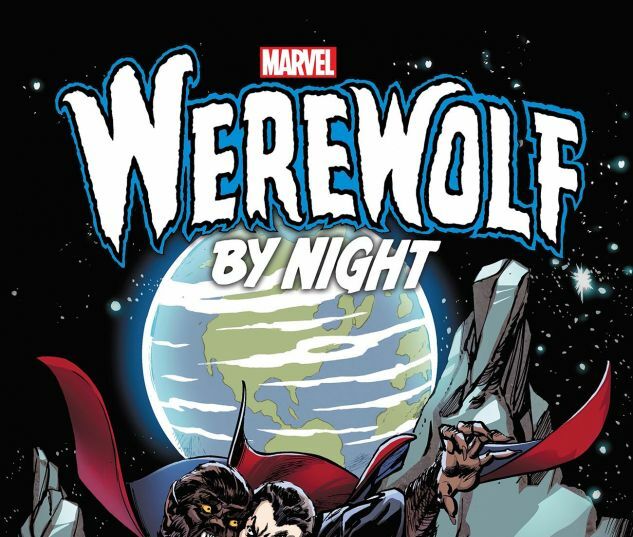 Yet Jack’s greatest fear remains the fate of his sister — can he spare her from his lycanthropic curse and the dread attentions of Doctor Glitternight?